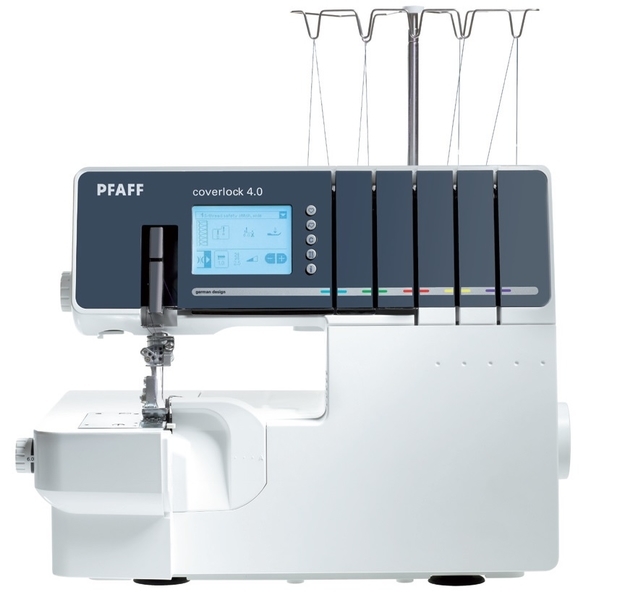 The Pfaff Coverlock 4.0 Cover Hem and Overlocker machine is the true test of perfection uitable for all materials from sheers, stretch, cottons and denim. 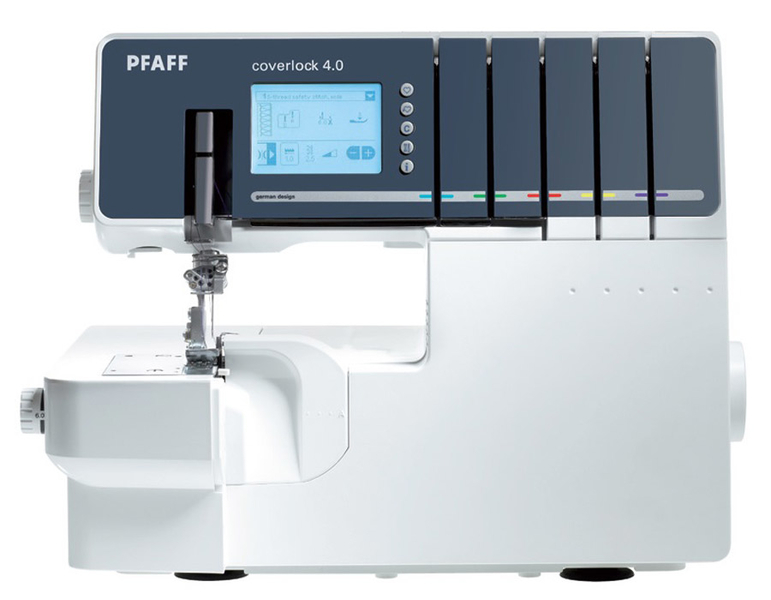 The Pfaff Coverlock 4.0 has plenty of features included such as it has 5, 4, 3 and 2 threads for more professional projects, now sewing, finishing and hemming has never been easier. 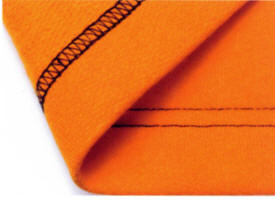 In just one step, the fabric edge is furbished on the bottom and the hem is created with a double needle effect on the top, ideal to finish neck and armhole edges quickly. 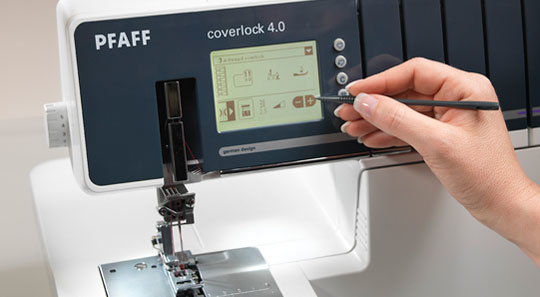 The Pfaff Coverlock 4.0 has 25 stitches including 3 top cover stitches chain stitch and cover stitches and an auto tension dial you can select a specific stitch and an LCD touch Information screen which shows all the information for your selected stitch such as the stitch length and number, needle positions, differential feed setting, seam width, ten language options and much more. 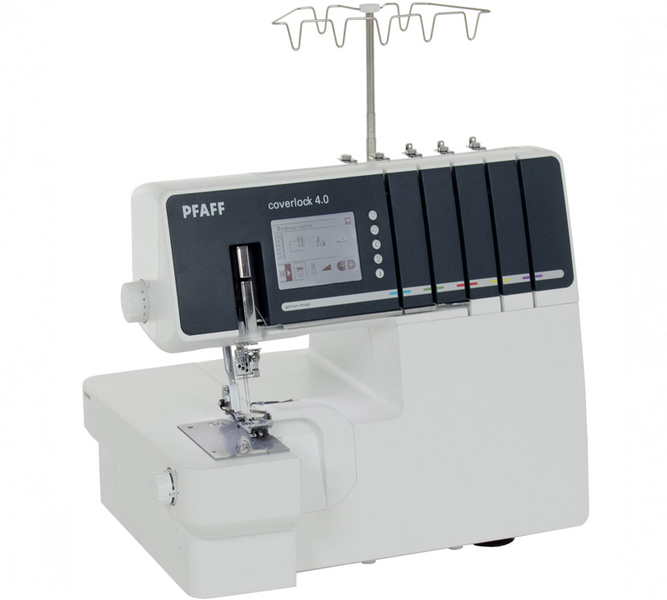 Multi-functional light or heavy, stretch or woven the Pfaff Coverlock 4.0 Overlocker machine offers the right stitch for every fabric such as Durable seams, perfectly finished edges, professional hems and decorative effects. 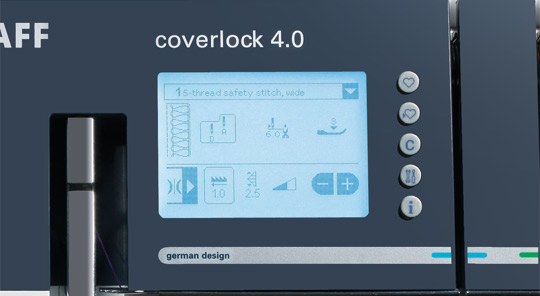 Other features on the Coverlock 4.0 are that it has the last stitch feature which once the overlocker is turned off it will remember the last stitch sewn so you can continue with your project, and you save personal setting for each stitch with the memories that are built in with the overlocker. 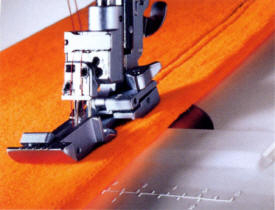 There is also two LED Light Bulbs for extra lighting of the sewing area, an extra presser foot lift so it makes it a lot easier to overlock thicker materials and heavier fabrics, the threading of the machine has never been so simple and quick with the lay in tension and colour coded thread paths, even if you are beginner it also includes a step to step interactive DVD to help you along the way. Grab The Deal! Limited Offer!! 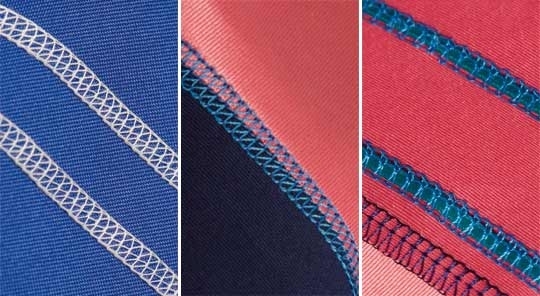 7 unique beautiful decorative stitches! 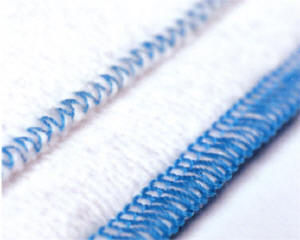 3 needles, up to 10 threads, and 25 stitches! 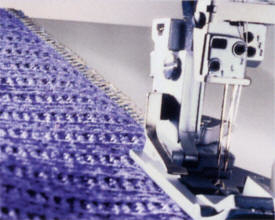 Optional feet – a wide range of optional accessories to enhance your sewing results. 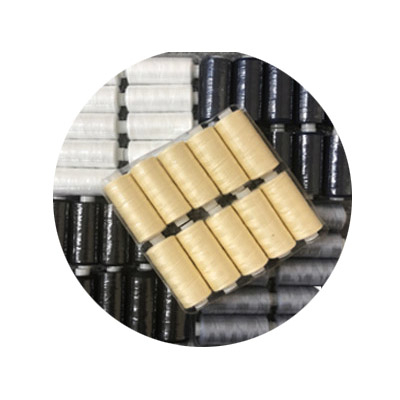 I love this item, looks great and the stitching is perfect, so glad I purchased this item, the customer service was excellent, and the delivery was very quick indeed. 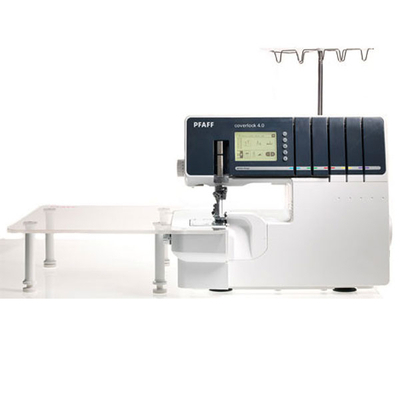 Again another brilliant item from Pfaff, fantastic next day delivery and great customer service.